The word is out. Apple has officially arrived in the enterprise. Once thought of as only for consumers, Apple has not so quietly created a $25 billion enterprise business — with no signs of slowing. 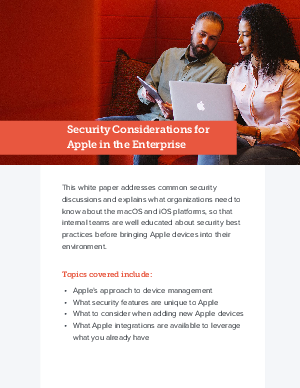 If you want to join the Apple at work movement, but have questions yourself about security best practices or, more likely, need to alleviate the security concerns of your executives or information security team, we can help.